Detroit has been in both the U.S. and global news for months with respect to its unsustainable and desperate financial position. As of July 24, Judge Steven Rhodes, a U.S. federal bankruptcy judge, blocked legal attempts by interested parties to stop the bankruptcy proceedings initiated on July 18 by Kevyn Orr, Detroit's state-appointed emergency manager. At this point, there are many interested parties, such as current city dwellers, pensioners and debt holders and all have different agendas. Therefore, recounting many to the decisions and circumstances which led to this city's collapse may provide valuable lessons for many confused and puzzled interested parties and bystanders alike. 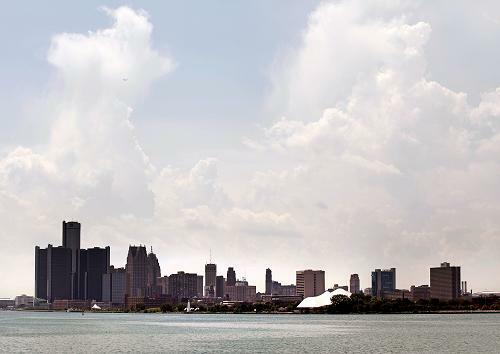 First, Detroit has more than US$18 billion of debt and unfunded liabilities. That includes US$5.7 billion in liabilities for healthcare and other retiree benefits and a US$3.5 billion pension liability. This is no small amount of money by any means. So, the question becomes: How did this city pile up so much debt and liabilities without any way, short of filing for bankruptcy, to pay them off? Like many serious financial disasters, this situation has been a long time in the making. During the 1950s, 1960s and up into the 1970s, Detroit was growing and prosperous. This prosperity was largely due to the fact that the U.S. automobile industry was centered in Detroit and the surrounding area. Tax collections were able to pay the city's bills for the most part; but auto worker wages were significantly above national market rates due to strong unions and the city had to respond in kind to its workers' demands for high salaries and rich benefit packages. During the 1970s, the auto industry became much more international in nature. In 1985, General Motors management announced a planned non-union plant in Spring Hill, Tennessee for its newly created Saturn brand. The first Saturn cars rolled off the assembly line in 1990. Not long after this milestone, other U.S. and foreign auto makers began operations in various parts of the U.S. that were far away from Detroit; both physically and philosophically. The result was a significant detrition of the auto industry in Detroit. The number of auto workers fell and tax collections began an accelerated decline as people moved away from the city. Detroit's descent into bankruptcy has been a litany of poor decisions, short-sightedness and ineffective, corrupt leadership.